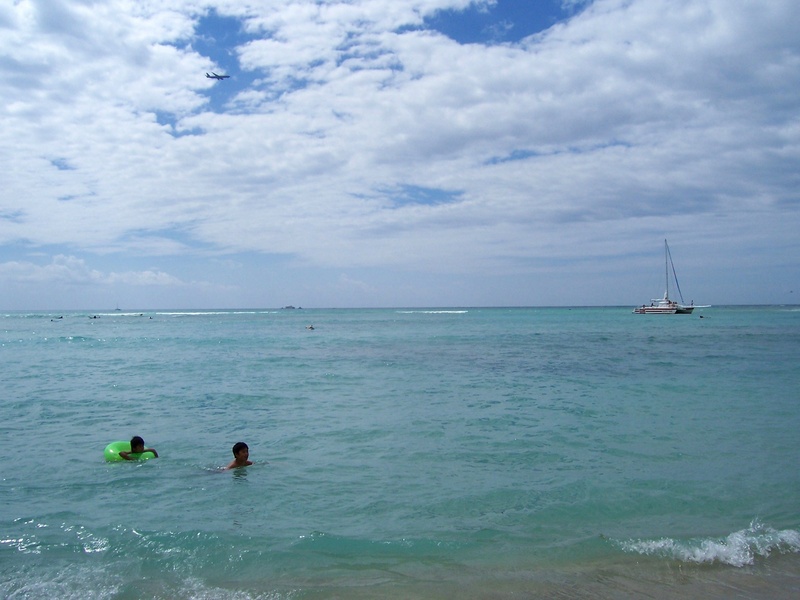 Waikiki Beach in one of the most famous beaches in America, if not the world. 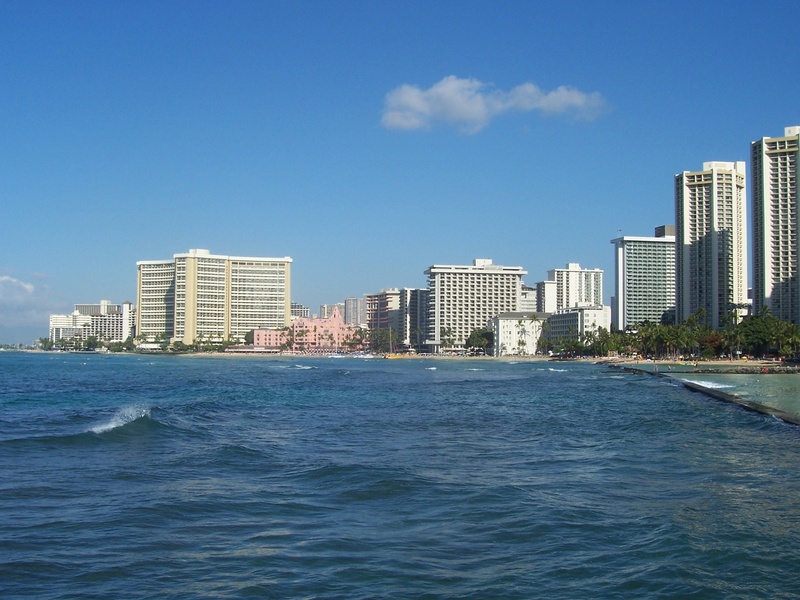 It’s a very popular destination because of its proximity to downtown Honolulu and Diamond Head mountain. As an urban beach, it can get very crowded. 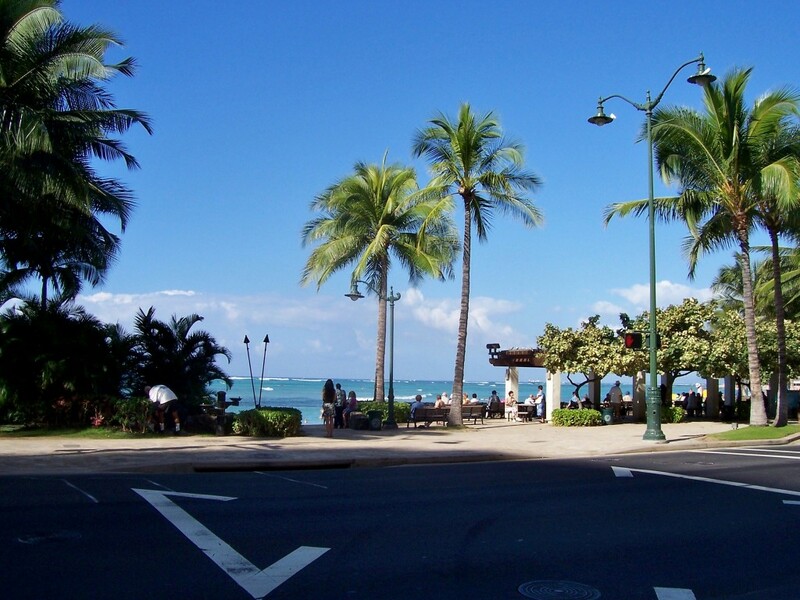 And while Waikiki Beach lacks the more rugged, natural beauty of Oahu’s North Shore of Oahu, it’s still worth checking out at least once in a lifetime. 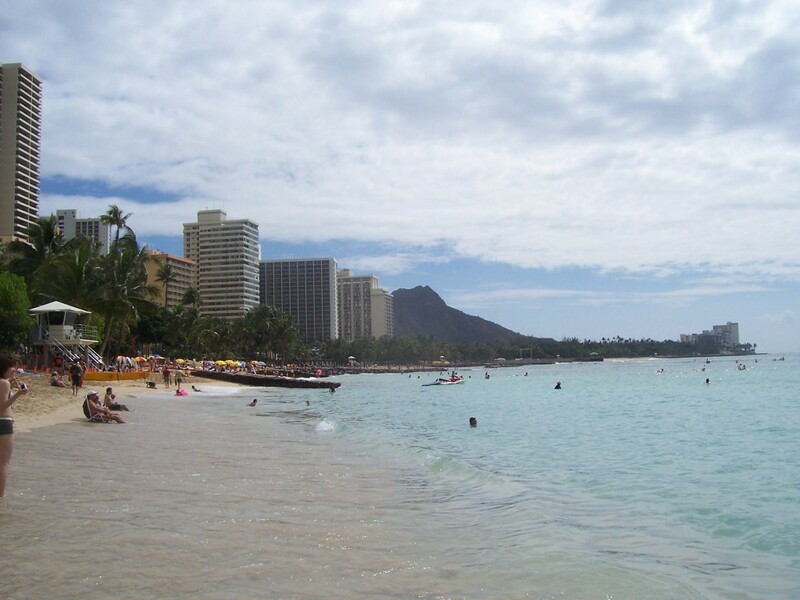 I got my chance to check out Waikiki Beach a couple of years ago. On my way to American Samoa, I had an overnight layover in Honolulu. Somehow, I ended up in a penthouse suite overlooking Waikiki Beach. The suite was nice, but I couldn’t resist the chance to go down to the beach and get some good photos. Since I only had a couple of hours to kill, I couldn’t really go swimming, but I did take my shoes off to walk in the surf. I was glad that I went early, though, because a big ole thunderstorm rolled into town that afternoon. 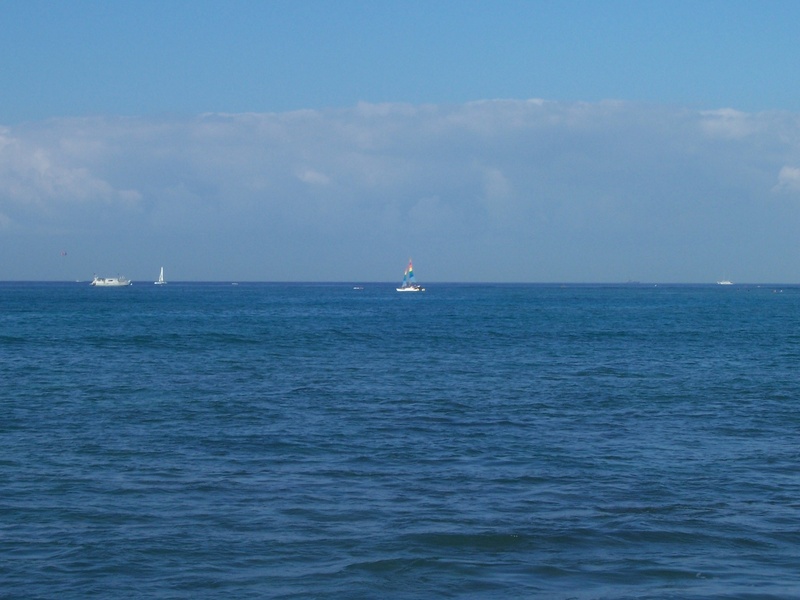 One of these days, I’d like to go back to Waikiki for more than a couple of hours. Then again, there are plenty of other beaches I have yet to explore. The highrise hotels cast shadows over the beach. Hawaiians invented surfing. 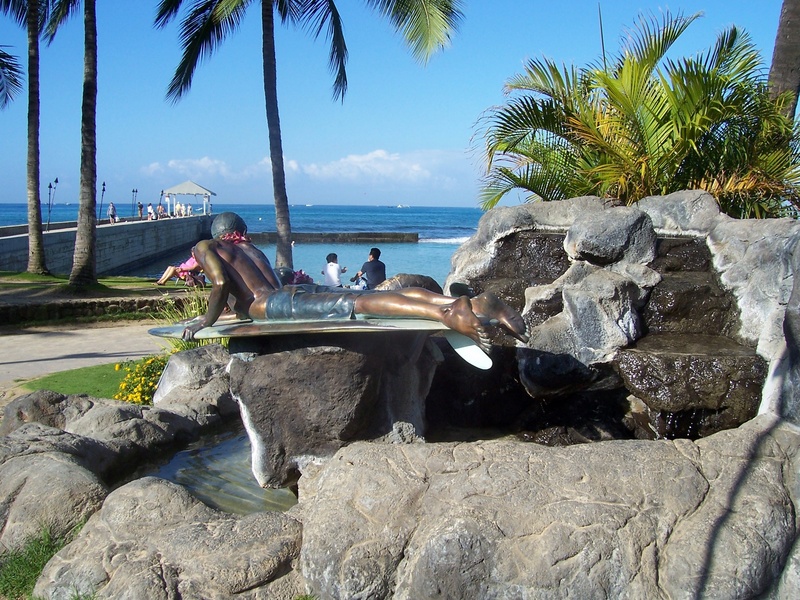 Here’s a statue famous surfer Duke Kahanamoku that commemorates his contribution to the field of awesomeness. 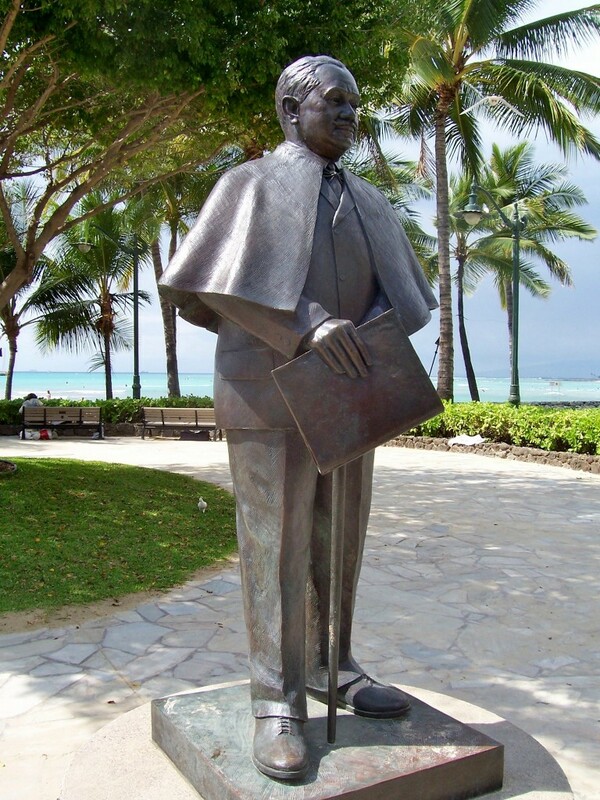 Statue of Jonah Kuhio Kalaniana’ole, a Hawaiian prince who later served in the territorial legislature after Hawaii was annexed by the US. 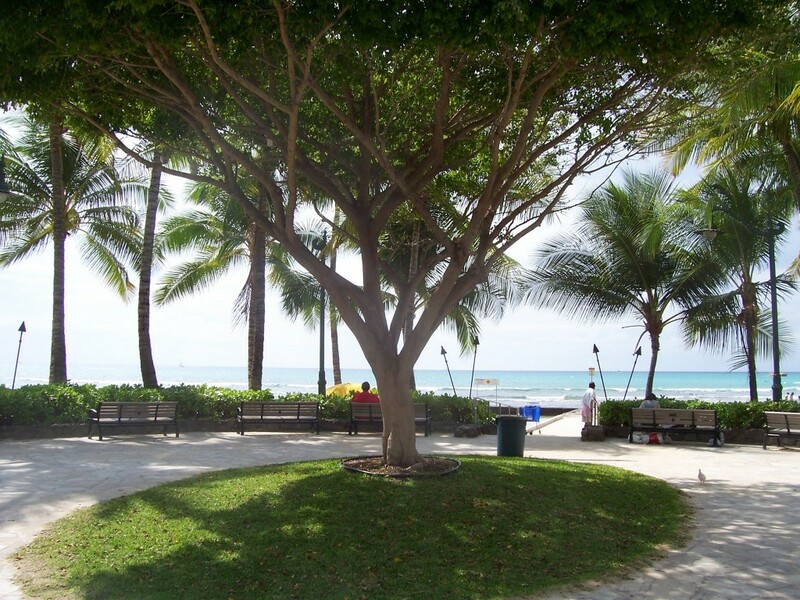 A tropical tree casts shade over beachside benches. Clouds roll in over Waikiki Beach. It was early February in Hawaii, and the water was colder than you’d expect. Only crazy little kids were swimming that day. I think they went a little overboard with the pink here. 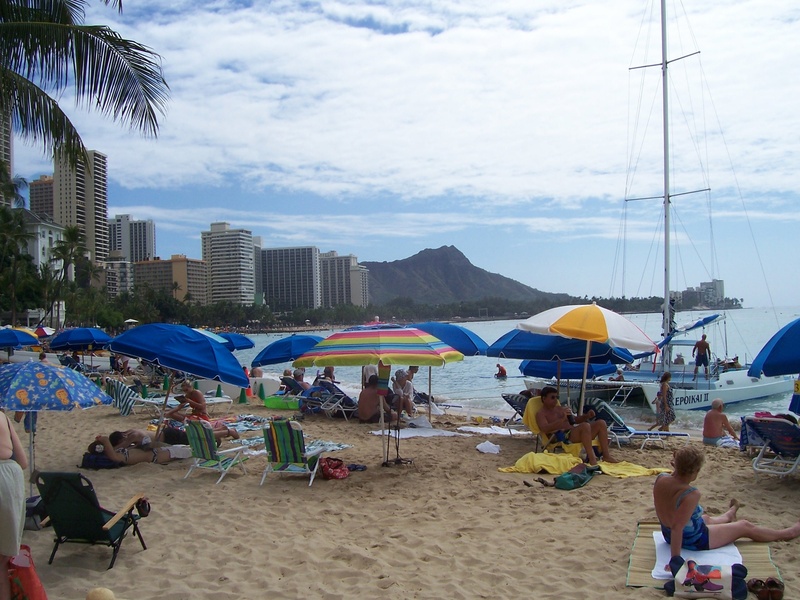 Diamond Head looms over the beach. I do not understand. You come to our home to be a tourist and you complain about tourists? Much of the things you make jokes out of come from deep within our history and yes you need to look these pieces up because calling PRINCE KUHIO some guy? That is extremely offensive and inconsiderate to our culture and history. 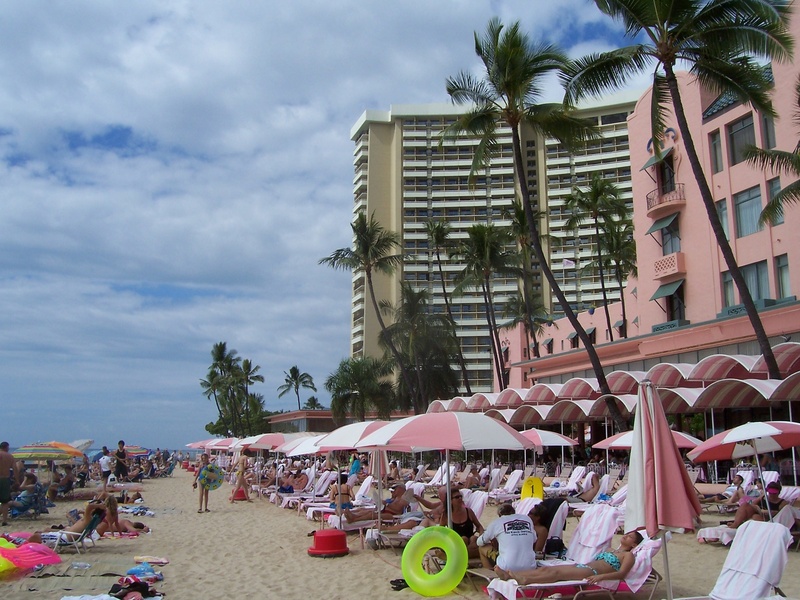 Do you understand why Waikiki is such a huge tourist destination and why there are so many hotels and so many tourists flooding the area? Hawai’i was forcefully annexed and the islands were taken and history as well as nature were turned into amusement parks and “some guy” along with “surfer dude”. That “surfer dude” is Duke Pa’oa Kahanamoku. He is the most famous swimmer in Hawaiian history and is admired and idolized in our eyes. Please cease your ignorance and either look up what you are talking about, or don’t talk about it. Racial ignorance is what got Hawai’i annexed and if your mindset is that of William McKinley, I urge you to study the cultures you are immersed in instead of closing your ears and looking at our culture with blind eyes. I am aware of the United States’ role in forcibly annexing Hawaii, and having lived in Samoa for several years, I do have a love and respect of Polynesian culture. That said, I do find it cringe-worthy looking back on my flippant captions such as “Surfer Dude” and “Some Guy.” I have updated these with the respective men’s names after reading about them on Wikipedia. I apologize for my cultural insensitivity. As for the issue of being a tourist in an overtouristed area, I think that merits its own article. There is a fine line between traveling the world to learn and enrich yourself and traveling to check places off your list like so many Pokemon. I’d like to say that I’m a respectful traveler, but we all make mistakes.